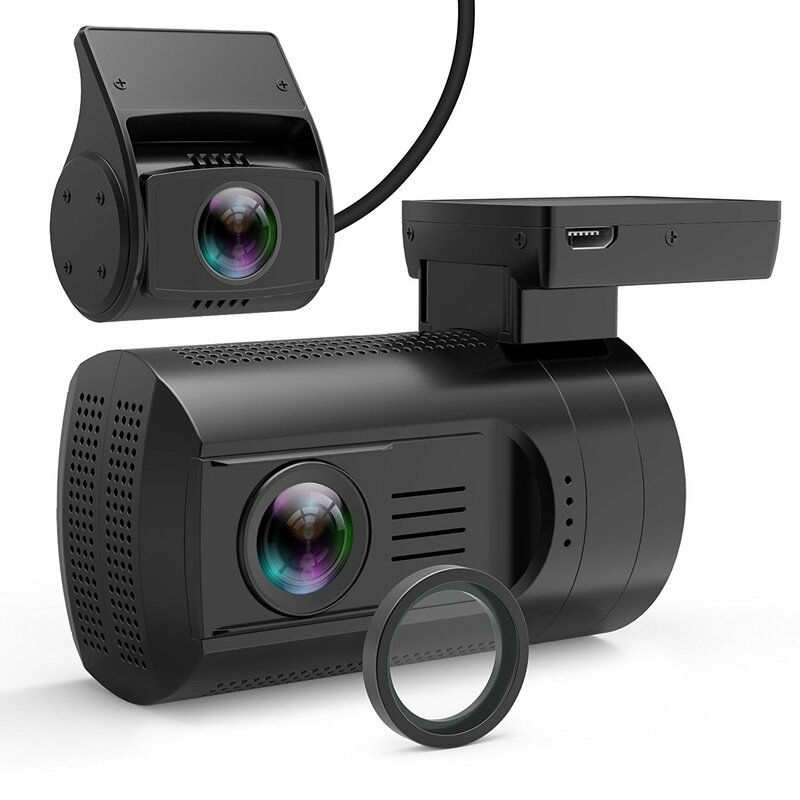 UPDATE: BlackVue has now also released a dual channel camera with similar features, the DR550GW-2CH, as well as a dual channel camera with touch screen, the DR750LW-2CH. The BlackVue Wi-Fi DR500GW-HD, by Korean manufacturer Pittasoft, is one of the finest dash cams currently on the market. While it isn’t exactly cheap, it certainly sports a great design. Its stylish cylinder casing fits snugly behind your rear-view mirror, making the camera hardly discernible from the outside of your car. Image quality is very good at day and good during nighttime. Being a small dash cam, the BlackVue doesn’t have a screen, but its Wi-Fi feature allows you to view your video footage comfortably on your smart phone. Included with the camera are viewing applications for PC and Mac, as well as for Android, iPhone, and iPad. The BlackVue DR500GW-HD comes with a 16GB MicroSD card, which can be upgraded to 32GB if desired. Of course it has all the features that a modern dash cam can’t do without, like loop recording, auto on/off when you turn your car’s ignition, date/time/speed stamp on the video, G-sensor for impact detection, and parking mode. This camera’s viewing angle is larger than that of most competing models, and its operating temperature bracket (from -20˚C to 70˚C) goes both lower and higher than most other dash cams. This, along with its excellent video quality both at day and night, make the BlackVue DR500GW-HD one of the top dashboard cameras to consider if you’re looking for a high-end product in 2013. For original Full HD video quality, watch on full screen and set the video resolution to 1080p using the cog icon in the lower right of the screen. Daytime video quality is very good. All details are clearly visible. Few reflections on the windshield. At night, video quality is almost as good as during the daytime. License plates and other details are easily discernible even in motion.